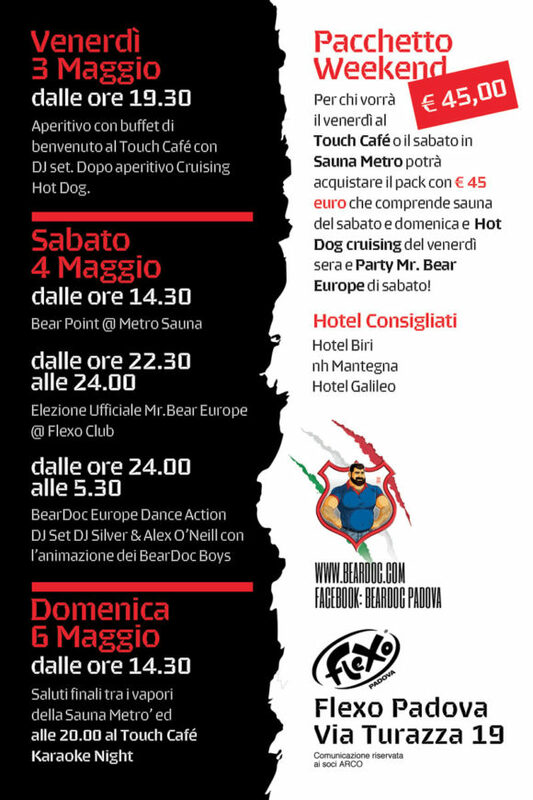 IN ARRIVO L’ATTESISSIMO EVENTO INTERNAZIONALE SUPPORTATO DA BEARDOC! 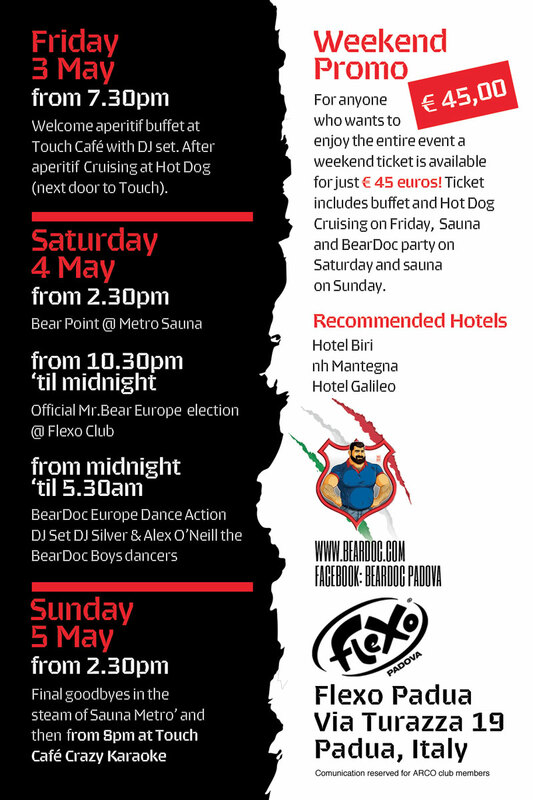 MR BEAR EUROPE 2K19 @FLEXO PADOVA . 3 GIORNI DEDICATI AL BEAR WORLD CON I 9 FINALISTI EUROPEI. UNA SELEZIONATA GIURIA INTERNAZIONALE VOTERA’ MR EAR EUROPE. SI INIZIA IL VENERDI SERA CON APERITIVO E BUFFET E SI TERMINERA’ LA DOMENICA SERA CON I SALUTI FINALI TRA I VAPORI & IDROMASSAGGIO DELLA SAUNA METRO. INFORMATI ED ACQUISTA IL BRACCIALETTO CHE TI DARA’ LA POSSIBILITA’ DI PARTECIPARE A TUTTE LE INIZIATIVE AD UN PREZZO SPECIALE.